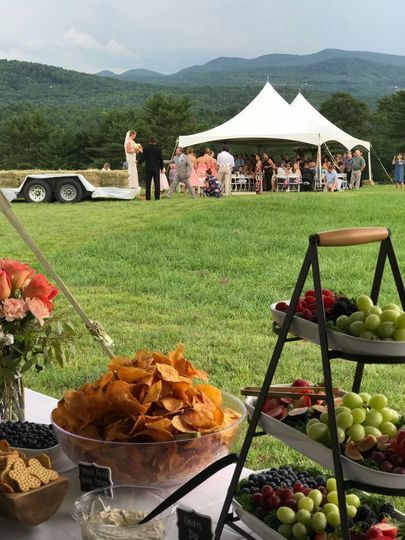 City Moose Catering is an experienced and professional wedding catering company based in Derry, New Hampshire. Jason Lamountain is the executive chef that utilizes his culinary expertise in every dish he serves. 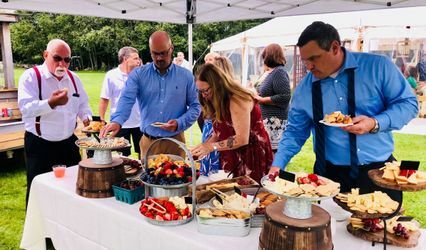 He began his culinary career at Alvirne High School and from there moved on to study at the Culinary Institute of America located in Hyde Park, New York. 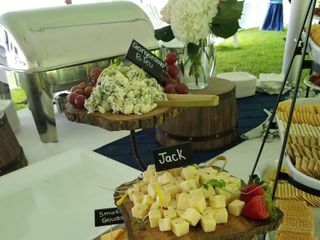 There, Jason worked for three years with the Functions Department and was responsible for catering functions on the CIA campus. He went on to receive his Master’s Degree in Business Administration and from there accepted a position as private chef for FLIR. 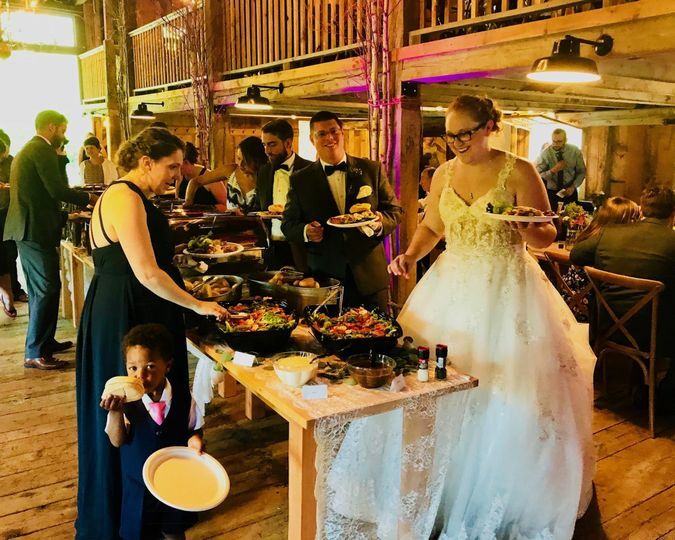 In 2016 Jason and Stacy, who is co-owner and catering coordinator, opened City Moose Catering that since then has been their love and full time job. 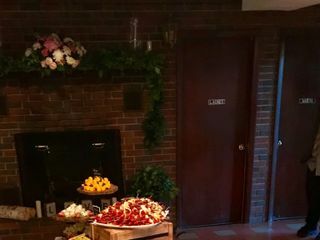 City Moose Café opened April 2018 downtown Nashua. 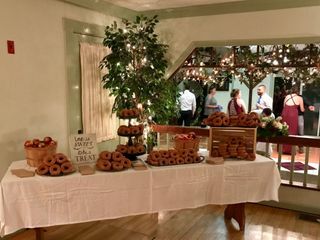 My husband and I chose City Moose to cater our wedding. I thought it would be a challenging situation because I wanted GOOD food, but we couldn't use the kitchen at the venue. Chef and Stacy didn't even blink, instead they provided a list of options that would work for my situation and the time of year. I really appreciate that they use locally sourced food. After we talked through the menu choices, and I made some requests, I decided to eat lunch there. That clinched it for me. The food was simple and tasty. Plus I had to have those homemade chips again! The day of the wedding I was blown away. City Moose was so professional. I didn't even notice the staff. 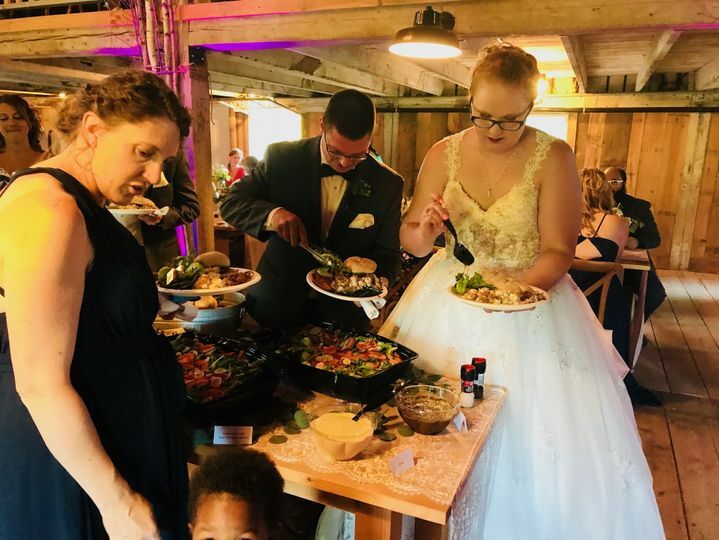 Stacy made sure that I actually got to eat dinner (which as a bride is quite difficult). The food was melt in my mouth delicious. We chose the cornbread stuffed chicken and all the guests RAVED about it. 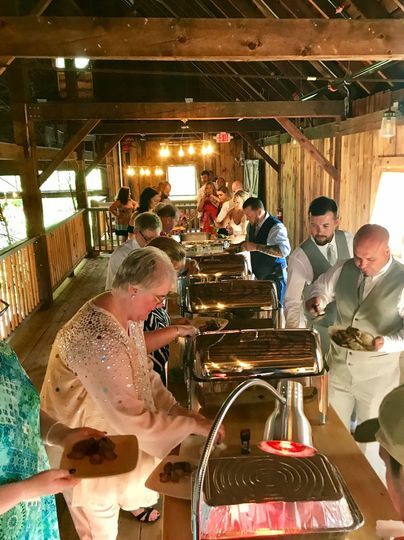 Let me repeat, my guests LOVED wedding buffet chicken. That is unheard of!! 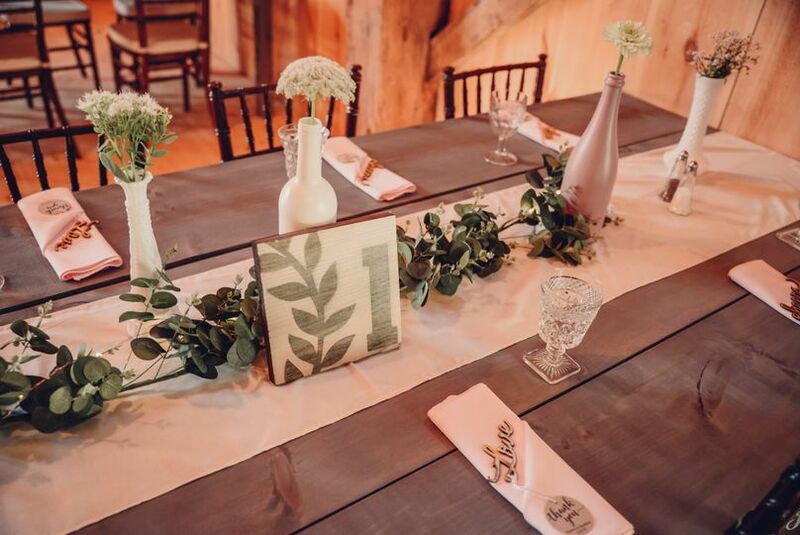 I am so glad that I used City Moose for my wedding. 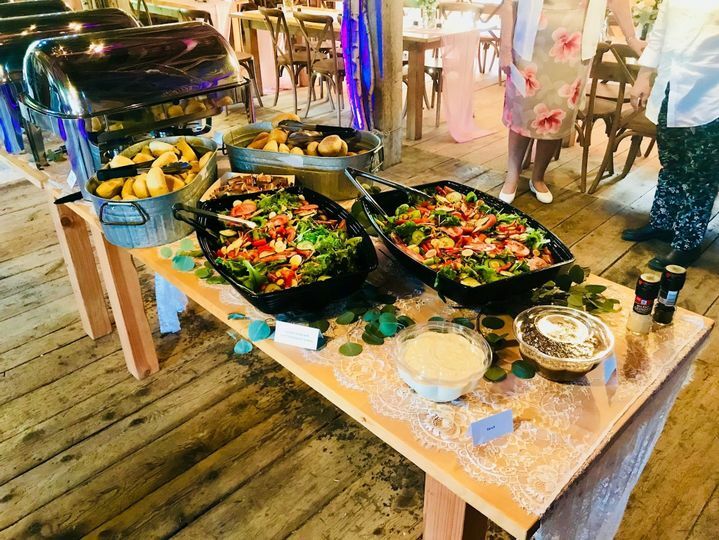 The food was inspired and delicious, the set up and design was gorgeous and inviting, and the service was professional and friendly. thank you for making my dream day also a delicious day! We can not thank you enough for this amazing review of our services and our food. 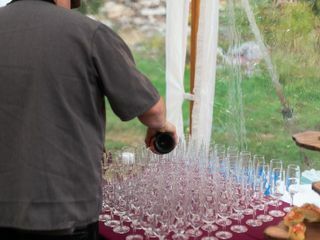 We work hard behind the scenes and on the day of to ensure you and your guests have an amazing time. 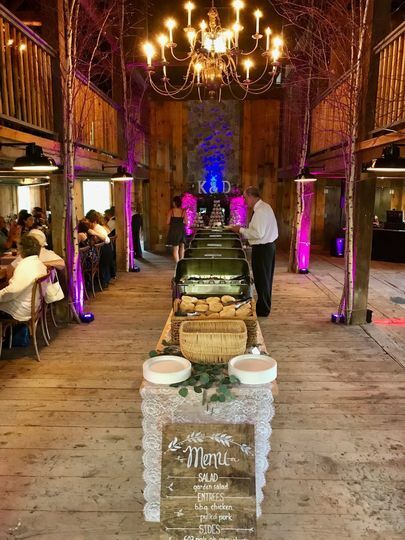 We are so pleased that you were able to see and appreciate all the details that went into the food. From our family to yours - we wish you nothing but love and happiness. 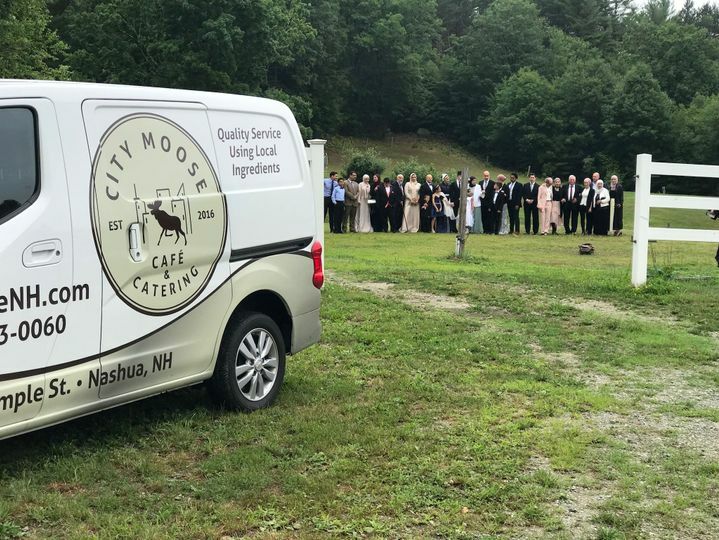 Thank you for letting City Moose be a part of your day! The owners and staff are amazing and food is top notch. The entire team at City Moose: Stacy, Chef Jason, and Megan we incredible! 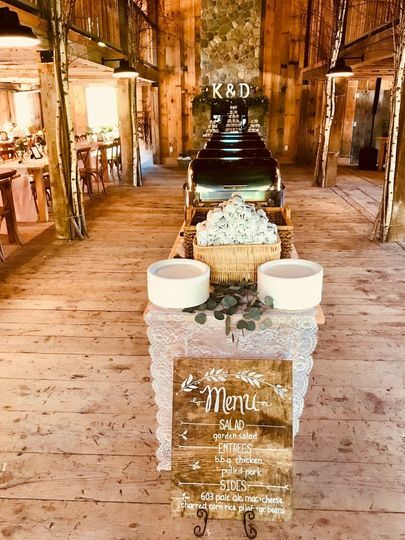 We planned our New Hampshire Wedding from Virginia, and even with the difficulties of long distance, I was able to get in touch with Stacy with questions or thoughts and she was so responsive. 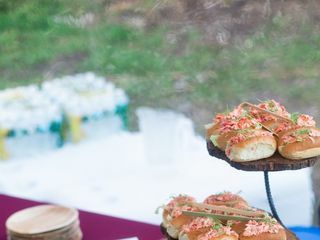 Because we were having a New England wedding, we so wanted to include "traditional" area food like lobster rolls and crab cakes. 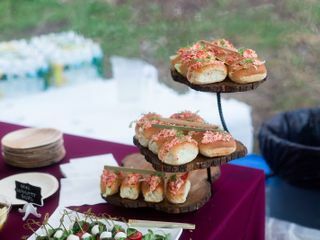 Stacy helped me get my wish by thinking of MINI lobster rolls and crab cakes for the cocktail hour that were a HUGE hit. They were so helpful in creating a day-of timeline, and working with all my other special requests. And on top of all that, the food was INCREDIBLE. 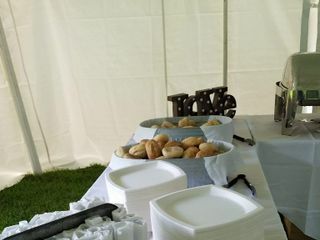 People could not stop telling us how much they enjoyed the food, and it's because they cook it on-site so it's fresh! 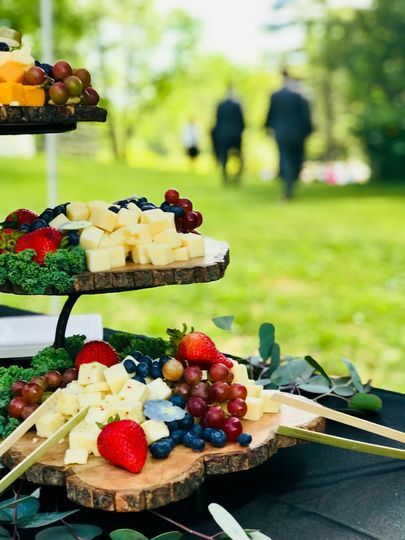 I could not have asked for a better caterer, and that term doesn't even seem to do justice to everything they helped me do in preparation as well as the day of. HIGHLY recommend!! Stacy and her entire team were amazing to work with! They were friendly and professional, and rolled with any changes that came their way. The food quality & presentation was excellent! I look forward to working with them again in the future.